Manchester United vs Barcelona, Champions League 2018-19 Live Streaming and Telecast Details: Where and When to Watch MANU vs FCB Football Match Live on TV and Online? 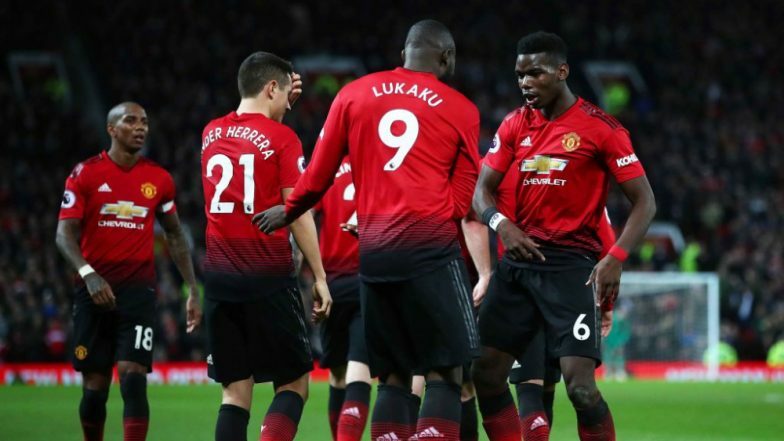 Ole Gunnar Solskjaer has asked his Manchester United players to be streetwise ahead of their quarter-final first leg against Barcelona who are determined to get over their European title drought. Manchester United have lost three out of their last four games in all competition and ever since Solskjaer was made permanent, look a pale shadow of their former self. Barcelona currently leads the Spanish La Liga and should be declared champions in a few weeks but it is the European tie that excited them. The last time the Red Devils stepped out for a Champions League game at Old Trafford, they were blanked 0-2 and they cannot afford another dismal show. Manchester United vs Barcelona - Live Football Score. Ander Herrera and Nemanja Matic are out of the game as the duo were not around when the team checked in for training. Alexis Sanchez is back but woefully short of match fitness to make the squad while Marcus Rashford should be back. The key man for United is Paul Pogba who needs to have a good game in midfield for the home side. If the Frenchman is on the song, United can create chances for Romelu Lukaku and co. Anthony Martial has often faded out in the big games but the winger’s place in the starting eleven is safe as of now. Ousmane Dembele who was touted to miss both the legs against Manchester United has travelled with the team but is highly unlikely to feature. Gerard Pique comes back to Old Trafford to face his former side and can expect a rousing ovation. Sergio Roberto could pip Nelson Semedo at the full back role as Barcelona would love to nip the Red Devils on the counter. Lionel Messi is the miles ahead of others as the best player on the pitch and if he has a decent game, the hosts are in big trouble. An easy win for Barcelona awaits them in Manchester as United lack quality in comparison to the Catalan giants. They could very well finish the contest tonight itself. When is Manchester United vs Barcelona, Champions League 2018-19 Football Match Schedule (Date, Time and Venue Details)? Manchester United will take on Barcelona in Champions League 2018-19 quarter final on April 11, Thursday (Tuesday as per India timing). The game will be played at the Old Trafford and the start time is scheduled at 00:30 am IST. How to Watch Live Telecast of Manchester United vs Barcelona, Champions League 2018-19 Football Match? Sony Sports Network is the official broadcaster for Champions League (2018-19 season) in India. The fans can see the live match telecast on Sony Ten 1 channel to see Napoli vs Juventus match on their TV sets. Where to Get Free Live Streaming Online of Manchester United vs Barcelona, Champions League 2018-19 Football Match? As Sony Sports Network holds the official broadcasting rights of the Champions League 2018-19 this season, the fans will also be able to see the match via Sony Sports' live streaming service, i.e. SonyLiv. For live score updates of Manchester United vs Barcelona, Champions League match, fans can click here.